RGGI could make the Clean Power Plan a slam dunk for participating states. In August 2006, a handful of Northeast and Mid-Atlantic states signed an amended memorandum of understanding that would lay the groundwork for the first multi-state carbon-trading scheme in the U.S.
A decade after that agreement, the Regional Greenhouse Gas Initiative, or RGGI, has cut CO2 emissions from generation sources in those states by 50 million short tons, or 36 percent, from 2008 to 2014. Nine states currently participate, including all of New England, Delaware, Maryland and New York (New Jersey pulled out in 2011). In the nearly eight years that the program has been fully operational, electricity prices in RGGI states have dropped an average of 3.4 percent. 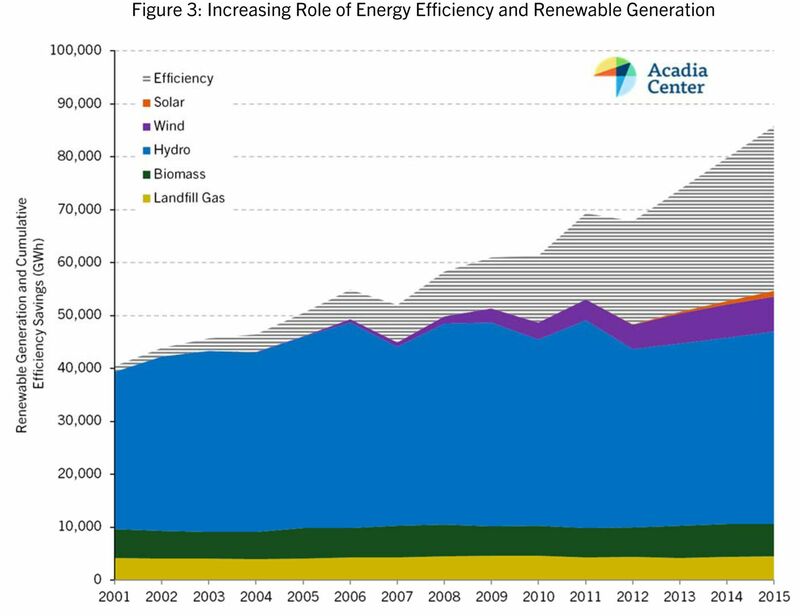 “RGGI states’ experience reducing emissions faster and at lower cost than anticipated comes at an important time,” the Acadia Center wrote in a recent report about RGGI. The notion of a carbon-constrained future may be increasingly accepted today, especially after the signing of the Paris Climate Agreement in December. But a decade ago, RGGI's goal for U.S. states to trade carbon allowances was anything but commonplace. The program set a regional cap on CO2 from power plants and issued tradable allowances. The revenues from trading the allowances mainly go to fund energy-efficiency programs. The success of RGGI shows that trading carbon allowances in the U.S. need not bankrupt the utility sector or shortchange customers, a lesson that will be necessary if the Clean Power Plan goes into effect. “It’s easy to take for granted,” said Jackson Morris, director of Eastern energy at Natural Resources Defense Council. “It just works.” He added that bringing together disparate states such as New York, New Hampshire and Maryland, which span three grid operators, required a tremendous amount of political leadership from both Republican and Democratic governors across nine states. An important outcome of RGGI is that prices have not gone up. Critics once argued that imposing a price on carbon would cause electricity prices to skyrocket, something that never came to pass. Indeed, electricity prices are lower in RGGI states than non-RGGI states, although there are many factors at play that could explain that difference beyond just the carbon-trading program. Natural gas has increasingly become the fuel of choice as coal and oil have decreased significantly, the Acadia Center found. But that has come at a cost. The New England states, for example, are now grappling with becoming overly dependent on natural gas for energy and are looking to diversify with other sources, particularly renewables. The biggest success of RGGI is not a move away from coal, but a solid investment in energy efficiency. Some critics argued the trading prices were so low RGGI could never achieve anything, but that too proved not to be the case. Budgets for energy-efficiency programs in the nine RGGI states grew from $575 million in 2008 to nearly $2 billion in 2015, according to Acadia. That number is expected to continue climbing. The program is scheduled to go into review every three years. The latest review is happening right now, with perhaps even more implications than any previous iteration. The review is occurring at a time when the Supreme Court has stayed the Clean Power Plan, but if it moves forward, many other states will be looking to get into RGGI or form regional carbon trading schemes that look very similar. If the Clean Power Plan does continue in its current form, “Almost all RGGI states will be in position that they could hit 2020 target levels and hit cruise control through 2030,” said Morris. But the RGGI states are not looking to hit cruise control. 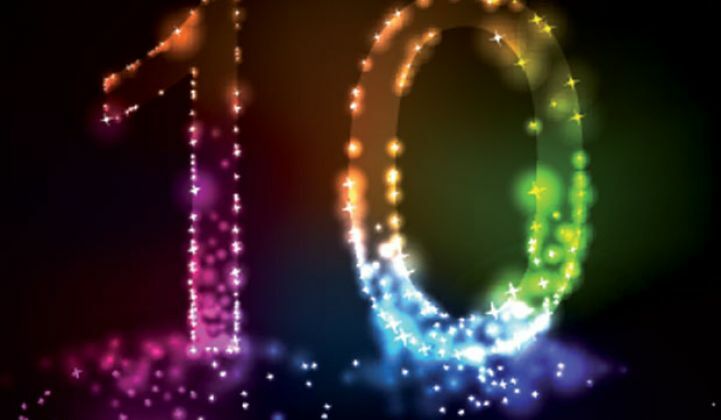 Instead, many have adopted more ambitious plans since RGGI was first agreed upon 10 years ago, with aggressive greenhouse gas emission targets and electric sector reforms. New York is working on its ambitious Reforming the Energy Vision proceeding, while states like Massachusetts recently signed an energy diversity bill. Vermont has mandated 75 percent of electricity from renewables by 2032. The current review will determine how much RGGI will help states hit their own climate targets. As of now, there is not a framework for determining what will happen after 2020. Instead of CO2 levels continuing to drop 2.5 percent each year, the target could drop to zero. But there is talk about maintaining the 2.5 percent level, or perhaps even increasing it up to 5 percent. Currently, researchers are modeling the outcomes of each scenario, from zero to 5 percent, to see what the impact would be on cost and carbon outcomes. 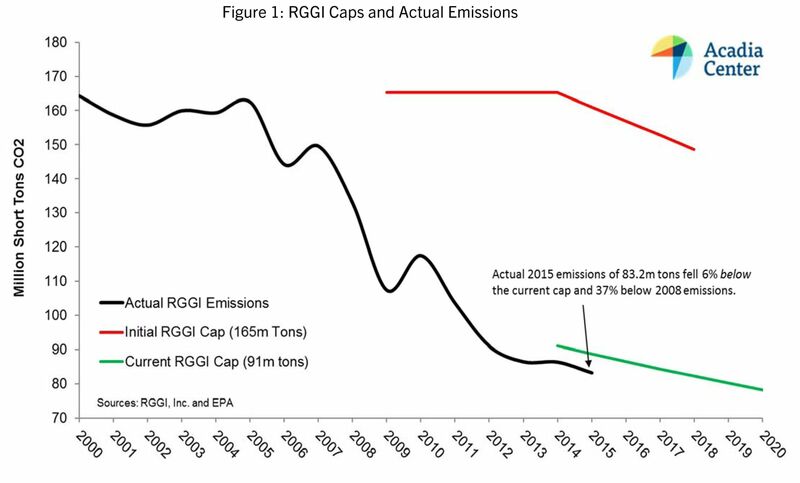 NRDC has argued the caps should continue, at a minimum, at 2.5 percent. “Anything less will not achieve the ambitions of the states,” said Morris. For other states whose carbon trading ambitions won’t be awakened until the CPP goes into effect, it will also be important to ensure the rules to trade with RGGI are as strict as they are for the participating states, said Morris. Most importantly, that means any state trading with RGGI would need to trade allowances on both new and existing power plants.